By Andrew Hay, Co-Founder and CTO, LEO Cyber Security. 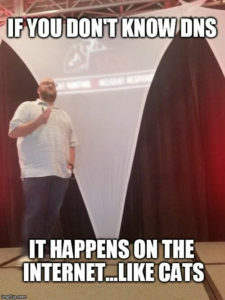 I speak at a lot of conferences around the world. As a result, people often ask me how I manage the vast number of abstracts and security call for papers (CFPs) submissions. So I thought I’d create a blog post to explain my process. For lack of a better name, let’s call it the Hay CFP Management Method. It should be noted that this method could be applied to any number of things from blog posts to white papers and scholastic articles to news stories. I have successfully proven this methodology for both myself and my teams at OpenDNS, DataGravity, and LEO Cyber Security. Staying organized helped manage the deluge of events, submitted talks, and important due dates in addition to helping me keep track of where in the world my team was and what they were talking about. I, like most people, started managing abstracts and submissions by relying on email searches and documents (both local and on Google Drive, Dropbox, etc.). Unfortunately, I didn’t find this scaled very well as I kept losing track of submitted vs. accepted/rejected talks and their corresponding dates. It certainly didn’t scale when it was applied to an entire team as opposed to a single individual. Enter Trello, a popular (and freemium) web-based project management application that utilizes the Kanban methodology for organizing projects (boards), lists (task lists), and tasks (cards). In late September I start by creating a board for the upcoming year (let’s call this board the 2018 Conference CFP Calendar) and, if not already created, a board to track my abstracts in their development lifecycle (let’s call this board Talk Abstracts). * Development: These are talks that are actively being developed and are not yet ready for prime time. * Completed: These are talks that have finished development and are ready to be delivered at an upcoming event. * Delivered: These are talks that have been delivered at least once. * Misc: This list is where I keep my frequently requested form information such as my short bio (less than 50 characters), long bio (less than 1,500 characters), business mailing address (instead of browsing to your corporate website every time), and CISSP number (because who can remember that?). * Retired: As a personal rule, I only use a particular talk for one calendar year. When I feel as though the talk is stale, boring, or stops being accepted, I move the card to this list. That’s not to say you can’t revive a talk or topic in the future as a “version 2.0”. This is why keeping the card around is valuable. * CFP open: This is where I put all of the upcoming conference cards that I know about even if I do not yet know the exact details (such as location, CFP open/close, etc.). * CFP closes in < 30 days: This is where I put the upcoming conference cards that have a confirmed closing date within the next 30 days. Note, it is very important to record details in the cards such as closing date, conference CFP mechanism (e.g. email vs. web form), and any related URLs for the event. * Submitted: These are the conferences that I have submitted to and the associated cards. Note, I always provide a link to the abstract I submitted as a way to remind myself what I’m talking about. * Accepted: These are the accepted talk cards. Note, I always put a copy of the email (or link to) acceptance notification to record any details that might be important down the road. I also make sure to change the date on the card to that of the speaking date and time slot to help keep me organized. * Attending but not presenting: This is really a generic catch-all for events that I need to be at but may not be speaking at (e.g. booth duty, attending training, etc.). The card and associated dates help keep my dance card organized. * Accepted but backed out: Sometimes life happens. This list contains cards of conference submissions that I had to back out of for one reason or another. I keep these cards in their own column to show me what was successfully accepted and might be a fit for next year in addition to the reason I had to back out (e.g. conflict, personal issue, alien abduction, etc.). * Completed: This list is for completed talk cards. Again, I keep these to reference for next year’s board as it provides some ballpark dates for when the CFP opens, closes, as well as the venue and conference date. * Rejected: They’re not all winners and not everybody gets every talk accepted. In my opinion, keeping track of your rejected talks is as (if not more) important as keeping track of your accepted talks. Not only does it allow you to see what didn’t work for that particular event, but it also allows you to record reviewer feedback on the submission and maybe submit a different style or type of abstract in the future. * Not doing 2018: This is the list where I put conference cards that I’ve missed the deadline on (hey, it happens), cannot submit to because of a conflict, or simply choose to not submit a talk to. It should be noted that I keep the above lists in the same order every year to help minimize my development time against the Trello API for my visualization dashboard (which I will explain in a future blog post). This might sound like a lot of work but once you’ve set this board up you can reuse it every year. In fact, it’s much easier to copy last year’s board than starting fresh every year, as it brings the cards and details over. Then all you need to do is update the old cards with the new venue, dates, and URLs. The post The Hay CFP Management Method appeared first on LEO Cyber Security.